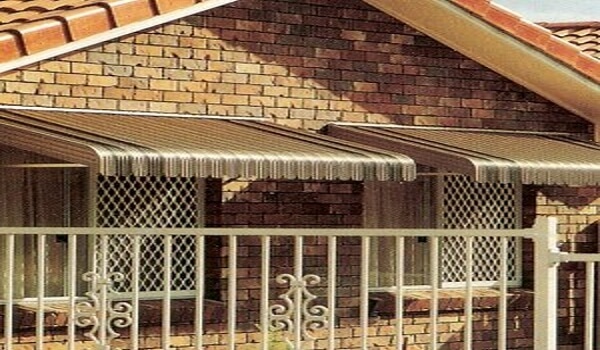 Australian designed pre-coated steel fixed awnings provide a low cost solution to the damage caused by Melbourne's harsh conditions. Where a solid awning structure is required for patios, windows or doorways, which will also provide strong protection from Melbourne’s harsh weather conditions. Metal canopy Awnings can be made up to 6.0 metres wide with a 3.0 metre projection and are highly resistant to hail, wind and flying debris and can be re-inforced with extra support arms. Metal canopy awnings are made from strong interlocking ribbed galvanised and pre-painted steel panels which lock together to form a durable rigid awning. Large choice of different colour panels and different front profiles.